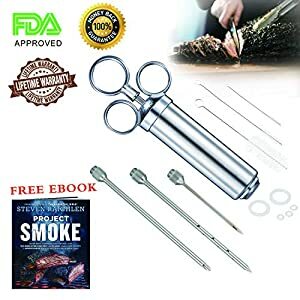 “Want delicious tasting meats and BBQ grill roasts like never before, bouncing full of flavor?” Juicy, succulent marinated meats that melt in your mouth? Say goodbye to dry tasteless meat and over cooked roasts forever. 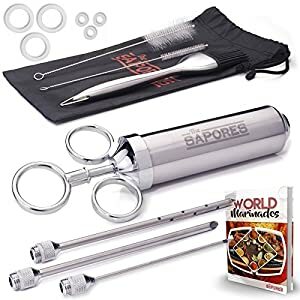 Take your cooking to the next level. 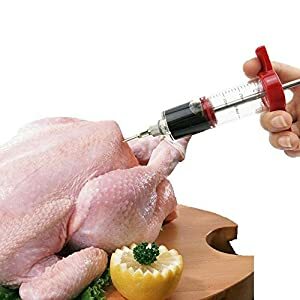 Heres why people all over demand Prestige Grills’ fabulous Meat Injector Kit. ►Premium Food Grade Quality 304 Stainless Steel – for a healthy lifestyle choice for your family. 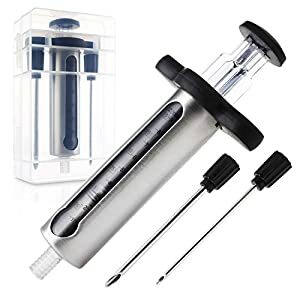 Add gorgeous flavors to all your meats with our marinade injector. 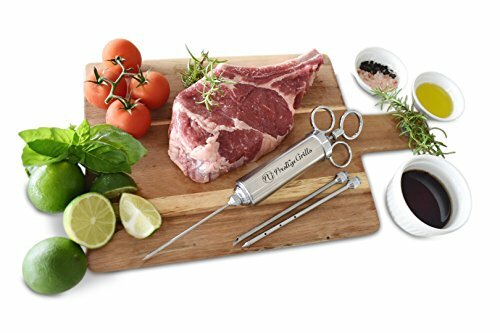 ►3 Needles For Every Occasion – Great versatility for seasoning your meats exactly how you like them. 6” needles for chunky style and liquid marinades. 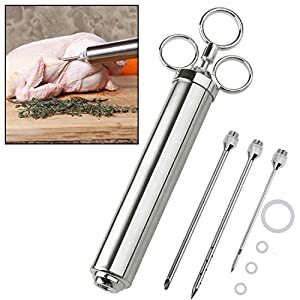 Or for smaller cuts of meats use our 3” needle for perfection. ►Simple to assemble and clean –Screw apart and simply place in the dishwasher to clean. 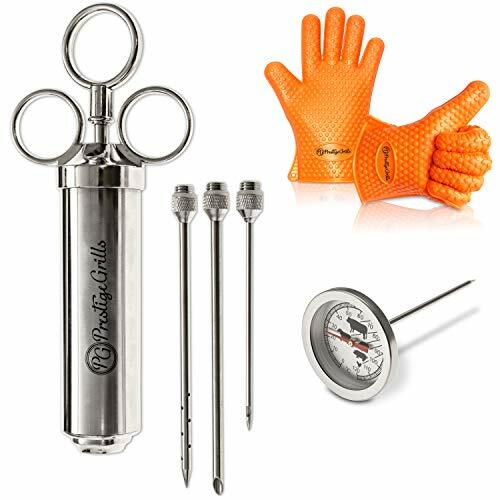 ►BONUS: – Meat Thermometer – For Perfect Roasts Every Time – Never overcook a roast again. Simply insert the thermometer into the meat as you cook to achieve the perfect roast, from rare to well done. ►BONUS: – BBQ Gloves – never burn your hands again on any hot plates or pots or baking trays with our HEAT RESISTANT and 100% waterproof BBQ Silicone Grilling Cooking gloves.